JANUARY 20, 2016 (SEATTLE, WA)—nuun and company is honored to announce its’ partnership with Challenged Athletes Foundation® (CAF), as an official sponsor for CAF’s Elite Paratriathlon Team for 2016. nuun is the official hydration sponsor of the team and will provide financial, product and educational support for their journey to the Rio 2016 Paralympic Games in Brazil. 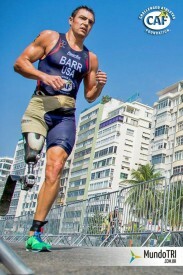 The CAF Elite Paratriathlon Team provides comprehensive support for some of the top U.S. paratriathletes with the ultimate goal of racing at Paratriathlon’s debut in the Rio 2016 Paralympics. CAF provides unparalleled athletic opportunities that lead to success in sports and in life for physically challenged individuals. nuun, the #1 selling sports drink product in sports specialty retail, has a commitment to positive change in the world, specifically through athlete support. This partnership is an alignment of values and initiatives that has been created to make a difference and drive awareness for athletes with physical challenges. As one of nuun’s primary cause partnerships for 2016, they will be providing financial support and raising additional funds as the official hydration sponsor of the CAF Elite Paratriathlon Team. Fundraising will be through initiatives such as the nuun year dash virtual race taking place in February, with 100% of the proceeds being donated to the team. As part of the partnership, nuun will supply team members optimal hydration and provide sports nutrition education for their training and racing. Throughout the year, nuun will also be onsite at multiple CAF events providing hydration support. Members of the CAF Elite Paratriathlon Team are training and competing to earn a spot on the USA Paralympic Team at the Rio 2016 Paralympic Games where the sport of triathlon will make its’ debut. Three CAF team members have already secured provisional spots for Team USA and many others are training to qualify at the World Championships in July in the Netherlands. The athletes are supported with adaptive and sports equipment, wound recovery, training stipends, race expenses and access to high performance camps to empower them to reach their highest potential in the sport. nuun and company, based in Seattle, WA, is the pioneer of electrolyte enhanced drink tablets that turn water into an optimally balanced sports drink without the added sugars and plastic waste of traditional sports drinks. Founded in 2004, nuun is used by the world’s best athletes and enthusiasts in running, cycling, triathlon, outdoor and general fitness. Eleven years later, nuun active hydration remains the #1 selling sports drink product in bike, run, outdoor specialty, and outdoor chain stores. nuun is sold in over 9,000 outlets in the US and available in over 30 countries. To learn more and find a store in your local area, visit www.nuun.com, friend them on www.facebook.com/nuunhydration or follow them on Twitter @nuunhydration. The Challenged Athletes Foundation® (CAF) is a world leader in helping people with physical challenges lead active, healthy lifestyles. CAF believes that participation in physical activity at any level increases self-esteem, encourages independence and enhances quality of life. Since 1994, more than $70 million has been raised and over 11,000 funding requests from people with physical challenges in all 50 states and dozens of countries have been satisfied. Additionally, CAF’s outreach efforts reach another 60,000 individuals each year. Whether it’s a $2,500 grant for a handcycle, helping underwrite a carbon fiber running foot not covered by insurance, or arranging enthusiastic encouragement from a mentor who has triumphed over a similar challenge, CAF’s mission is clear: give opportunities and support to those with the desire to live active, athletic lifestyles To learn more, visit challengedathletes.org or call 858-866-0959.